— What does astronaut see from up there? From the red soil of Africa, the blue water of oceans, to the green lights of the poles and yellow light of human activity, discover, through this journey to space, something astoundingly beautiful and strange at the same time. 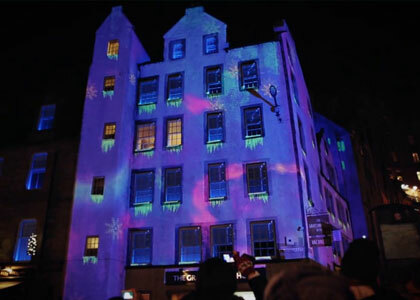 The Projection display will take place between 5pm and 8pm with live showings at 5.30pm, 6.30pm and 7.30pm. This winter wonderland spectacle will be a fantastic way to finish an afternoon of Christmas Shopping, or start a winter night out on the town!